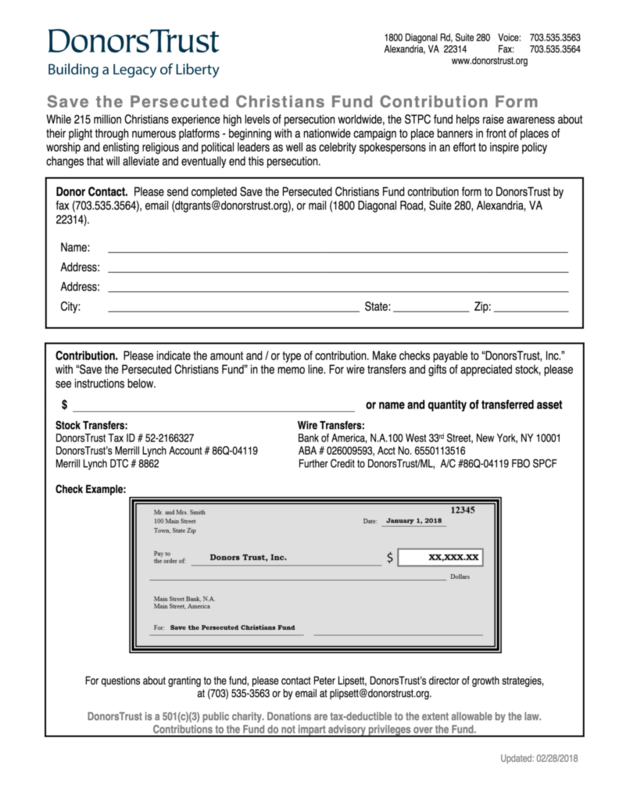 Tax-deductible contributions of $100 or more can be made to the Save The Persecuted Christians Donors Trust account by downloading a printable copy of the PDF at this link and following the instructions on the form. Donors remain anonymous. For questions about granting to the fund, please contact Peter Lipsett, Donors Trust’s Director of Growth Strategies, at (703) 535-3563 or by email at [email protected]. Please do not send donations to our mailing address as we cannot process those financial contributions locally. Contributions must go through Donors Trust with the memo notation — For: Save The Persecuted Christians.